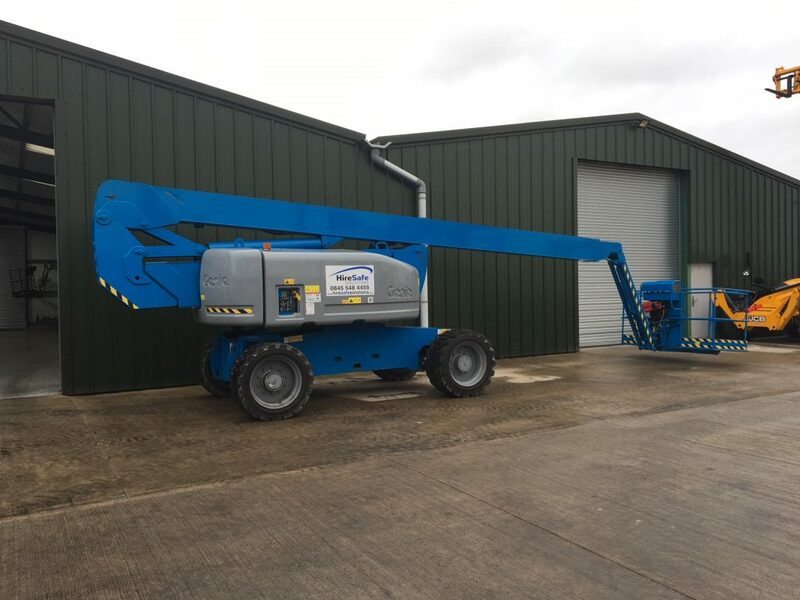 The Genie Z80 60 has a working height 25.60 metre with an outreach of 18.29 metre. It is a diesel powered unit primarily for outside use due to its power options. Despite its size the Genie Z80/60’s optional four wheel steer offers excellent maneuverability even on tight congested sites. As a result of the specification steel erectors and cladders often opt for this model.